All of our beers are made by “mixed fermentation”. This means they are co-fermented with various strains of yeast and bacteria. Instead of purchasing yeast from a lab, we work with mother cultures that we maintain. This is a very old way of producing beer that is being made new again. Some of our beers are fermented and aged in wine barrels, and all of them are in contact with oak for some time. All of our beers are bottle and cask conditioned by using a short re-fermentation to produce carbonation. This means that they can safely be kept and enjoyed for years. Origins / Barberra is the first in a series of barrel aged golden ales, refermented on single grape varietals. This inaugural version was made with rich, full, Barberra wine grapes. The resulting beer is like a beer/natural wine hybrid, bringing jammy fruit, and a soft acidity, to a dry tannic base beer. 5%, 750ml, $19 each. Batch #1 was released 01/23/17. 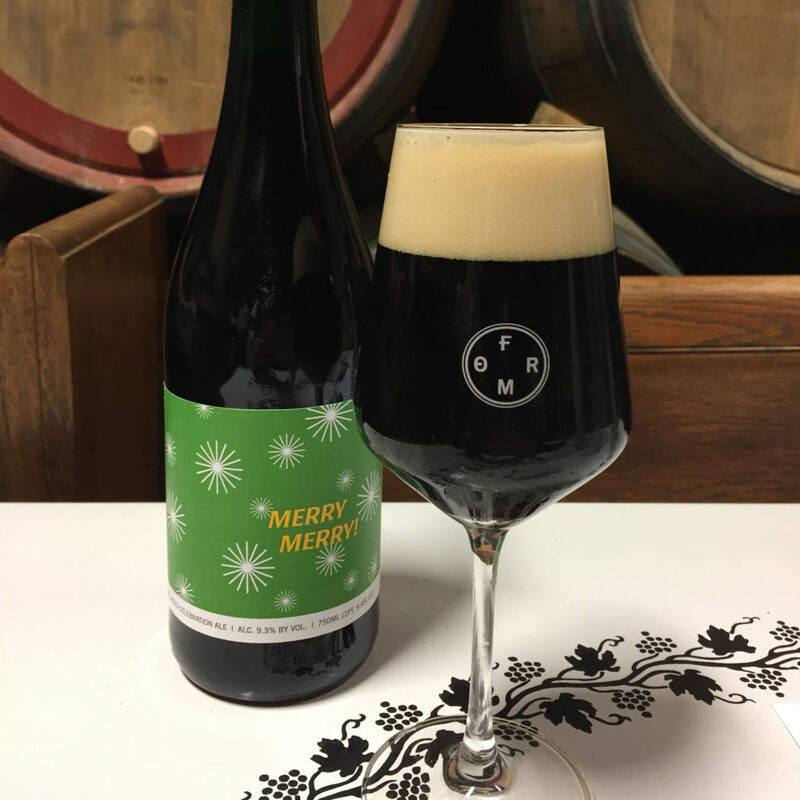 Merry Merry is a dark strong ale, aged for a few months in bourbon and white wine barrels, then blended and bottle conditioned. It tastes of bright plum, bakers cocoa, vanilla, brown sugar, strawberry candy, and finishes dry with a moderate sourness. 9.3%, 750ml, $18 each. Batch #1 was released 12/02/17. This entry was posted in Our Beers on December 17, 2017 by etripp. 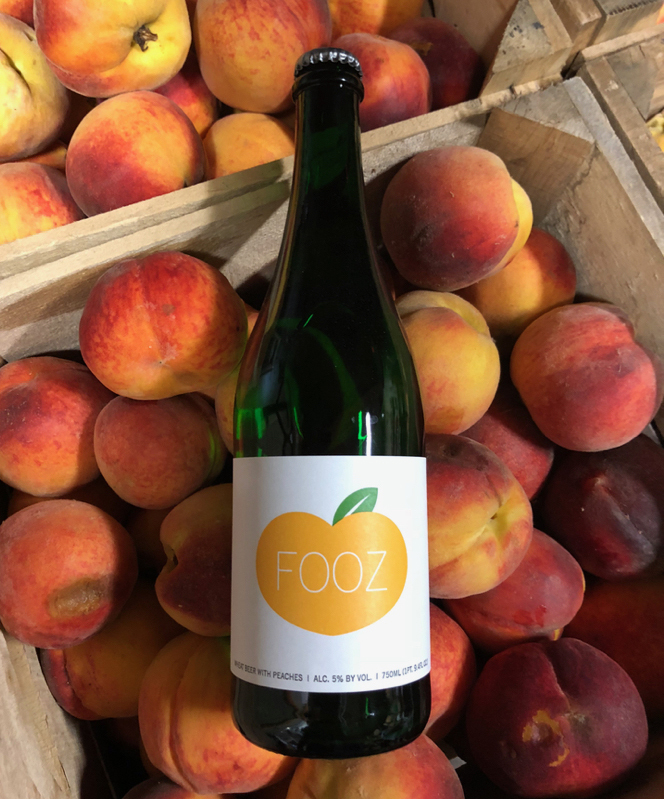 Fooz is a wheat beer, aged in stainless with oak staves for 3 months before adding massive amounts of peaches from 3 Springs Fruit Farms, and allowing another few months for it to ferment to dryness. It’s a delicate, aromatic expression of peachy goodness, with a nice light acidity. 5% abv, $16, 750ml. Batch #1 was release 11/11/17. This entry was posted in Our Beers on November 20, 2017 by etripp. 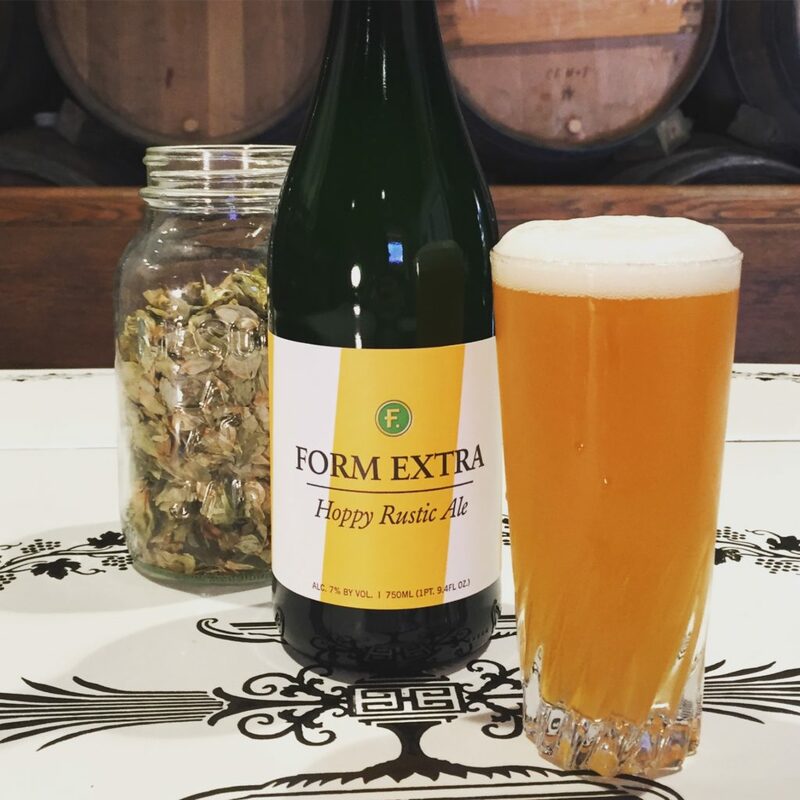 Form Extra is now available at the brewery. Extra is inspired by some of our favorite bitter French and Belgian Farmhouse ales. A high proportion of Vienna malt in the base, and a long boil produces a deep golden color. On this we’ve layered a melange of noble hops, with around 40% being aged several years. These aged hops impart a different kind of bitterness and flavor to their fresh counterparts, creating deep, woodsy, herbaceous tones. With the light acidity from our mixed culture, inflections of lemon, lime and grapefruit peel are also present. With an ABV of 7%, and a firm bitterness this beer will age very gracefully over time, as the hops mellow off, and a deep viniousness comes to the fore. We hope to be sharing them for years to come. 750ml, 7% alcohol by volume. Batch #1 was released 10/20/17. This entry was posted in Our Beers on October 25, 2017 by etripp. Our newest release is available at the brewery now. 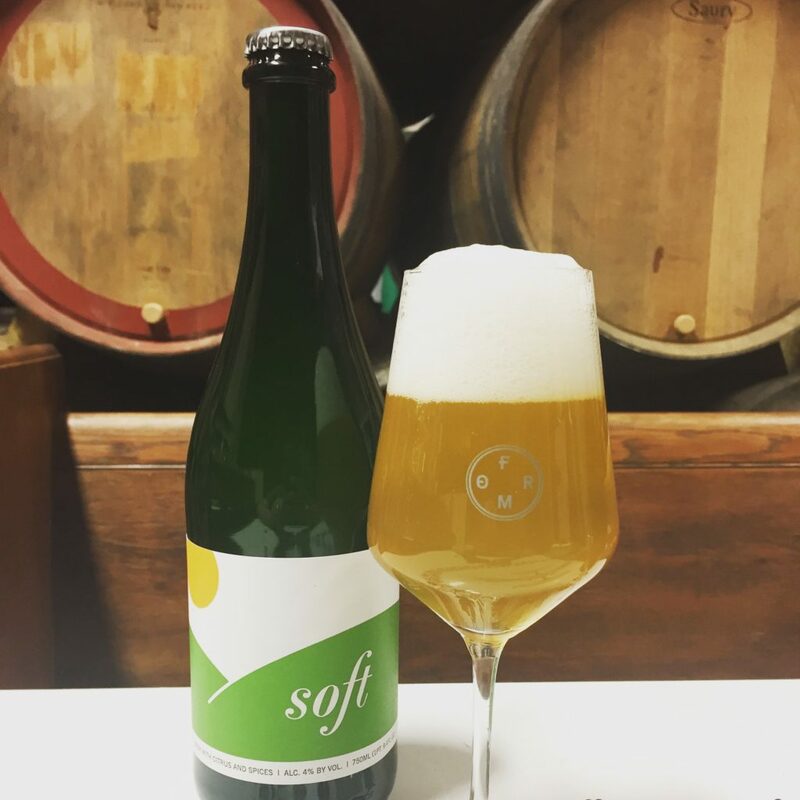 Soft starts off like a traditional Belgian Wit, and is fermented with our house yeast and bacteria culture. We then add loads of Valencia orange juice and zest, and a bit of coriander and chamomile. At 4% it’s an adult soft drink, sort of like a radler, sort of like a beer mimosa. Built for summer brunches, and poolside lingering. 4% alcohol by volume. 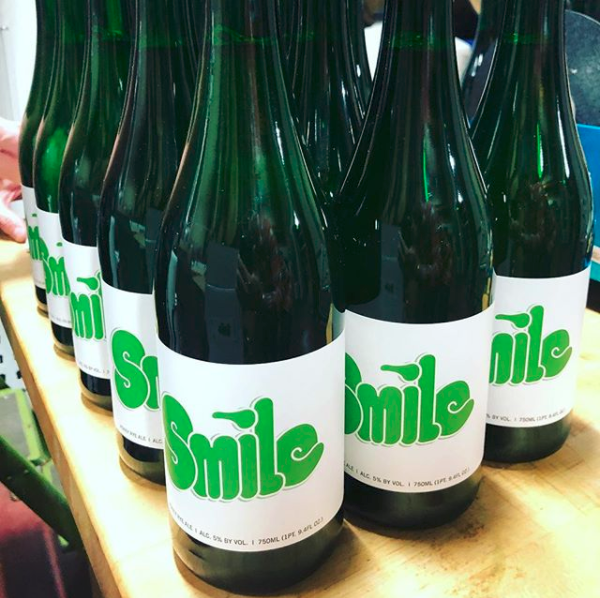 $14, 750ml. Batch #1 was released 07/29/17. This entry was posted in Our Beers on August 7, 2017 by etripp. Our first two releases are available at the brewery now. They are Formhouse and Form to Table. All of our beers are mixed fermentation and fermented with oak and our house cultures. All bottles are naturally conditioned. 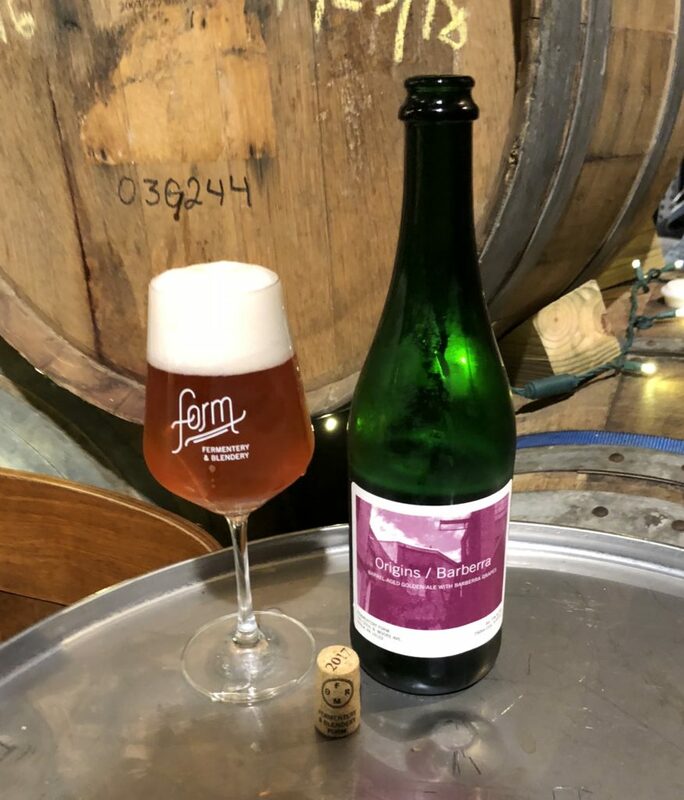 Formhouse is a 6.5% ABV tart farmhouse ale. It’s bone dry, effervescent, and mildly acidic, with notes of citrus, pear and white grape. $16, 750ml. Form to Table is a 3.5% hoppy table beer. It’s dry with a firm bitterness, and noble hop character. It tastes of autumn leaf funk, lemon and lychee, and has a nice quenching tartness $10, 750ml. 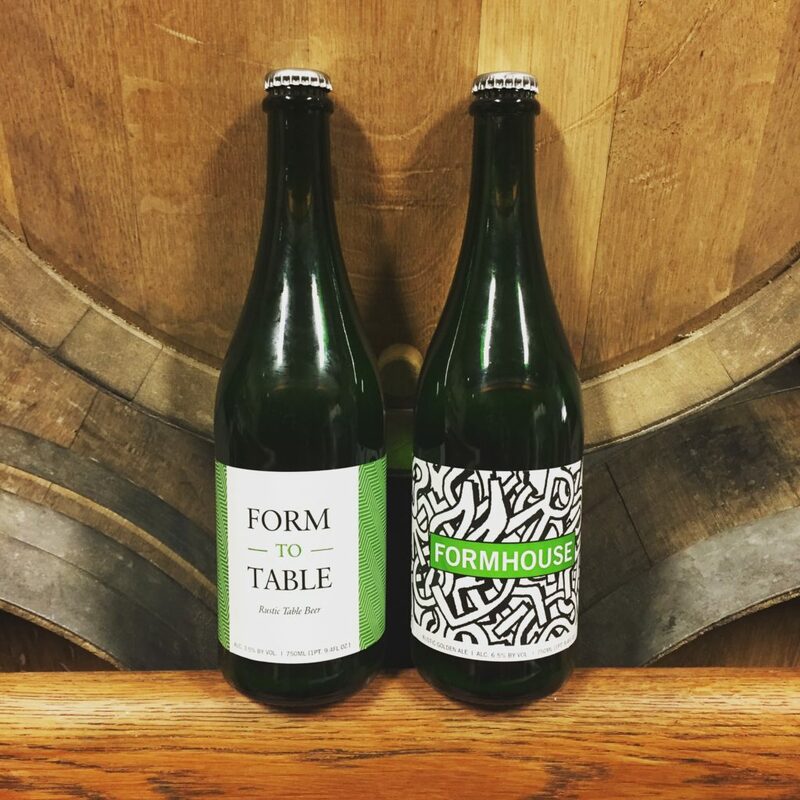 Formhouse batch #1, and Form to Table batch #1 were released 07/01/17. This entry was posted in Our Beers on July 27, 2017 by etripp.